Leizhan works together with customers to optimize the production efficiency and improves the runnability of the paper making process of their plants. According to various demands of paper plants, Leizhan designs customized kraft paper machinery and testliner paper manufacturing solutions for paper makers. Leizhan 4200 Triassic net multi-cylinder kraft paper machinery contains the following components: air cushion headbox, vacuum couch roll, composite roll, vacuum press, dryer section, leading paper cylinder, sizing machine, calender, horizontal pneumatic reeling machine, transmission part, frequency converter, chrome fee, hood, etc. 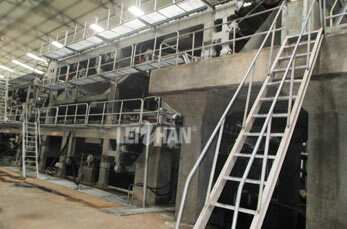 Leizhan kraft/testliner paper board making machinery has a basis width range of 1880-5800 mm, and a basis weight range of 80-200 g/m². By using waste paper, white shavings, LOCC and so on as raw materials, its production capacity can range from 45 to 750 tons per day.